Consent is arguably the most important conversation to have when it comes to relationships. It is important to educate your child on boundaries and the type of actions that are and aren’t appropriate from his or her date. Be sure to tell your child that when someone tells them “no,” they should stop whatever they are doing right away. On the flip side, your child should be able to say “no” themselves, when their date is doing something they don’t like. Instead of labeling inappropriate behavior and actions as “good” or “bad,” try using the terms “comfortable” or “uncomfortable.” This way, your child will not feel like they are getting themselves or anyone else in trouble by saying they are experiencing a “bad” interaction or touch. You can have them practice telling you when certain touches or actions are comfortable or uncomfortable. Now that we’ve discussed the most important rule of dating, let’s get to the fun! Dates should be with someone both you and your child like and can agree on. Ask your child what qualities they would like in a boyfriend or girlfriend, such as honesty, compassion, cleanliness, etc. Talk about some of the good qualities your child brings to the table as well. 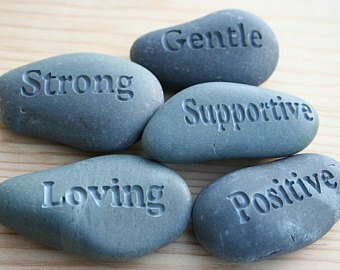 Your child should be confident enough to name a few good qualities they have. Self-esteem is always important! Let your child know that they should look for someone about the same age, and with a similar level of functioning. That way they will be better able to understand, sympathize and ultimately connect with each other. They should also share at least a few interests or hobbies, so they can plan out specific ideas of activities they would like to do together. These activities don’t have to be anything extraordinary or complex. If both people like drawing, you could grab some pencils and paper, and arrange a drawing date. Oh and of course, include some delicious easy to eat snacks! After all, it’s not necessarily about what you’re doing but more so who you’re spending the time with and if you can enjoy their company. It’s a good idea to talk to your child’s date’s parents or caretakers on the phone before the date. That way you can learn about what both children like to do, where they like to go, or any potential problems that may arise. You could also use this time to plan the outing together. If this is your child’s first date, and you are worried about how it might go, don’t be afraid to tag along on the date. You wouldn’t have to spend every second with them. Simply sit a few rows behind them in the movie theater, or a few tables away at the restaurant. Sit far enough away to give them some privacy, but still close enough to intervene if any problems ensue. There are many places around the DFW area that offer sensory-friendly hours, fun activities and are wheel-chair friendly. All of these factors can help your child and their date to have a successful outing. Urban Air offers hours without loud music and blaring lights. AMC has autism-friendly movie days where certain theaters turn the lights up and the volume down. The Thinkery Children’s Museum, located in Austin, Texas, has interactive, sensory-friendly hours with limited ticket sales to avoid the overstimulation of large crowds. These are just a few of the many places that could be a great date idea for people with special needs. One can never be too prepared, especially for a first date. Help your child choose their favorite, stylish outfit that they are most comfortable in. Go a step beyond the usual routine and add a touch of perfume or cologne to give them that last extra boost of confidence. Practice asking typical date questions with your child, such as, “What do you like to do for fun?” or “What kind of music do you like?” Questions like this can get a conversation rolling and avoid any awkward silences. These questions are also great for helping both people get to know each other. Have your child practice giving compliments to their date. Let them know what kind of compliments are appropriate to give. Also, it’s a good idea to let them know what behaviors are appropriate for public, such as holding hands, and which ones should be reserved for private moments. Rejection is never easy for either party. Some individuals with special needs, especially those on the autism spectrum, have high sensitivity to rejection. Therefore, it’s important to talk to your child beforehand about the possibility that the person they like might not return their feelings. Tell your child that this does not make them a bad person, that there are other fish in the sea, that if it’s meant to be, it will be. One rejection does not mean the end of the world. Tell them that it’s okay if they need to grieve the lost relationship or the relationship that never was, but after a while, they should move on. Conversely, you should talk to your child about what to do if it turns out they are not interested in seeing their date again. Remind them that they should always be gentle when they let someone down. They should use “I” statements when giving a reason. For example, “You’re great, but I’m just not feeling a connection between us,” gets the job done well. Complimenting the other person can help soften the blow, as well as putting the blame on the rejecter instead of the rejected. 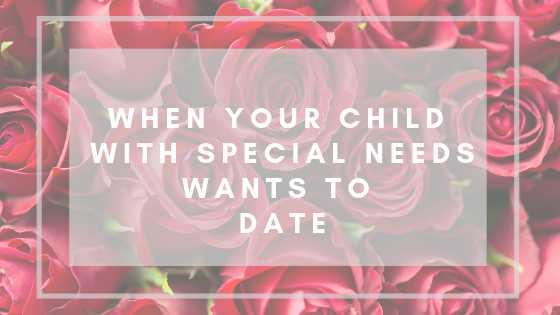 In conclusion, just because your child has special needs doesn’t mean they can’t go on dates! Just remember to follow these tips and be honest with your child about any questions they may have. To help alleviate some of your stress and give you a few ideas, we’ve compiled a list of 5 DFW locations and events that would make a great date spot for your child and their date. Howdy Homemade – check out our exclusive interview with Howdy Homemade’s owner, Tom Landis. If you have an adult child with special needs, then you know that there are limited services that support them and help them achieve their personal goals. At a 501(c)(3) nonprofit organization, Achievement Center of Texas is helping children and adults with special needs find themselves through artistic exploration, life skills training and field trips. We couldn’t do what we do without the support and donations from people like you who care. To keep our organization open and thriving, please consider donating to our cause. Click the button below to give us a donation. Make a difference in Margot's life today. I have already made a donation!